High speeds in laser material processing pose great challenges for the process control and monitoring. Conventional control technology reaches its limits here. Especially when remote material processing requires the synchronization with moving components, or when sensor signals are to be detected. The LZH is therefore working on a novel high-speed control technology that enables both the highly dynamic processing of the material as well as the control of the process. The integrated control system processes data in clock rates of up to> 100 kHz. Using laser material processing, materials can be precisely machined at high speeds of up to 10 m / s, with low heat input and at a large working distance. The innovative control technology of the LZH is supposed to control and monitor such processes in modern production environments. The highly dynamic control system can also act as a key to Start of Production (SOP), paving the way for mass production. The integration into different production environments requires a generalizable and application-specific design of the control technology. Sound process knowledge and a customized system technology (electronics, lasers, optics) form the basis for this. In cooperation with two industrial partners, the LZH developed a so-called double scan head. The combination of the control system and scan head made it possible for the first time to measure the temperature of arbitrary points inside and outside the laser interaction zone inline, to monitor critical areas, and thus to control the process during the processing of thermally sensitive materials, such as carbon fiber reinforced plastics (CFRP). 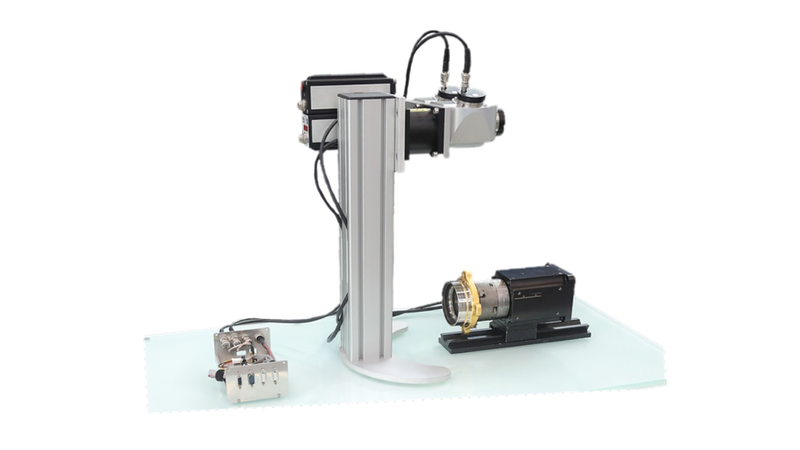 The control system and the scan head can be integrated into highly dynamic remote laser processes and individually adapted to the production environment.